hawaiioceanlaw.com: New Case from Second Circuit - New York Marine & Gen. Ins. Co. v. Lafarge N. Am., Inc.
New Case from Second Circuit - New York Marine & Gen. Ins. Co. v. Lafarge N. Am., Inc.
Did an unsecured barge cause the New Orleans levee break during Hurricane Katrina? The questions answered here are: who should pay to defend it? And, does the terminal owner's insurance company cover it? A new maritime insurance case from the Second Circuit Court of Appeals answers some of the above (the insurance stuff anyway). The case is New York Marine & Gen. Ins. Co. v. Lafarge N. Am., Inc., can be found here. Insured defendant-counter-plaintiff-appellant-cross-appellee Lafarge North America, Inc. (“Lafarge”), intervenor and primary-insurer plaintiff-counter-defendant-appellee-cross-appellant New York Marine and General Insurance Company (“NYMAGIC” or the “primary insurer”), and excess-insurers plaintiffs-counter-defendants-appellants-cross-appellees Northern Assurance Company of America (“NACA”) and American Home Assurance Company (“AHAC” or, collectively with NYMAGIC, in its additional capacity as excess insurer, and NACA, the “excess insurers”), appeal from an order entered on January 29, 2007, and summary judgments entered on October 27, 2008, and February 19, 2009, in the United States District Court for the Southern District of New York (Haight, J.). No fewer than four separate class action complaints have been filed against Lafarge, some with putative classes as large as 40,000 members, seeking damages as high as $100 billion. No fewer than 900 docket entries were made in the Katrina Barge Litigation when it was pending before Chief Judge Berrigan, and no fewer than 16,000 docket entries have been made in the consolidated Katrina Litigation pending before Judge Duval. At least 28 other parties, including insurers as direct action defendants, are or have been co-defendants of Lafarge in the Katrina Barge Litigation. Lafarge notified its primary insurer NYMAGIC and hired a team of attorneys, experts and consultants. Lafarge's attorneys were not on NYMAGIC's preferred counsel list and a dispute arose. NYMAGIC hired counsel to represent Lafarge. As you might expect, the policy limits of $5 million were exhausted quickly. Lafarge has several excess insurers: NYMAGIC, AHAC and NACA. Lafarge incurred $10 million in legal fees and expenses that the insurers never paid. There was another potential insurer, the American Club, a non-profit mutual insurance association. It provided defense and indemnity for vessels that Lafarge owned, chartered, leased or otherwise obtained an insurable interest in. Lafarge only owned the terminal where the barge was moored. The opinion, at length, analyzed this provision and found it not applicable. Should NYMAGIC, the primary insurer, be forced to be pay investigative and defense costs when it did not consent to the choice of the attorneys. The appeals court parsed out in temporal fashion who did what and when. It ordered NYMAGIC to pay for the investigative efforts (including attorney's fees) because it did not undertake an investigation itself. The court denied, however, Lafarge's request for defense costs when Lafarge rejected NYMAGIC's authorized attorneys. [Lesson: the insurance company gets to pick the attorneys, if an insured chooses not to use them, they must pay]. The excess insurers followed the form of the primary insurance policy, but Lafarge did argue that the unreimbursed attorney's fees were properly born by the excess insurers because they were "bumbleshoot" policies (providing coverage when the primary policies have gaps in coverage). The court rejected this argument and found Lafarge's rejection of NYMAGIC's preferred attorneys to be unreasonable. 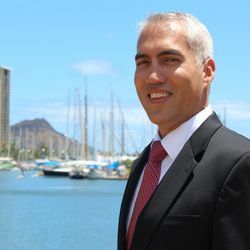 I bet my colleague Tred over at www.insurancelawhawaii.com has some thoughts on this case. Mark: Thanks for the post and saving us from having to read the case. I wonder why the insured refused to accept the insurer's choice of defense counsel? Without a good reason, the insured made a risky decision to go with its own counsel.